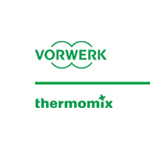 ¿ERES CLIENTE DE Thermomix® Y AÚN NO TIENES EL TM5? PUES TE VAMOS A DAR LA OPORTUNIDAD DE CONOCERLO, Y SI TE GUSTA, ESTE ES TU MOMENTO. AHORA TIENES LA POSIBILIDAD DE CONSEGUIRLO SIN PAGAR DE UNA FORMA MUY SENCILLA CON LA AYUDA DE TU AGENTE COMERCIAL Y SI NO ESTAS EN CONTACTO CON TU AGENTE COMERCIAL Y QUIERES SABER COMO, NO DUDES EN CONTACTAR CON NOSOTROS. PUEDES LLAMARLOS AL TFNO 670544005, A TRAVÉS DEL BLOG, O ACERCARTE A NUESTRA DELEGACIÓN.